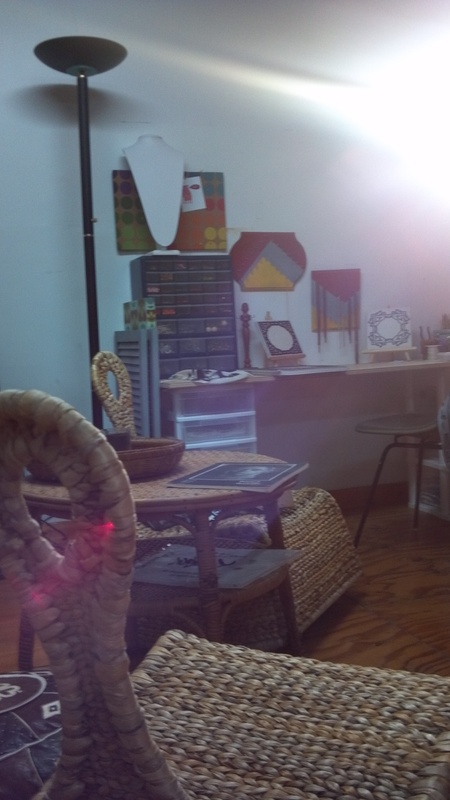 New Studio Space! | tessa.yvonne.morrison. Posted on February 29, 2012 by tessa.morrison. 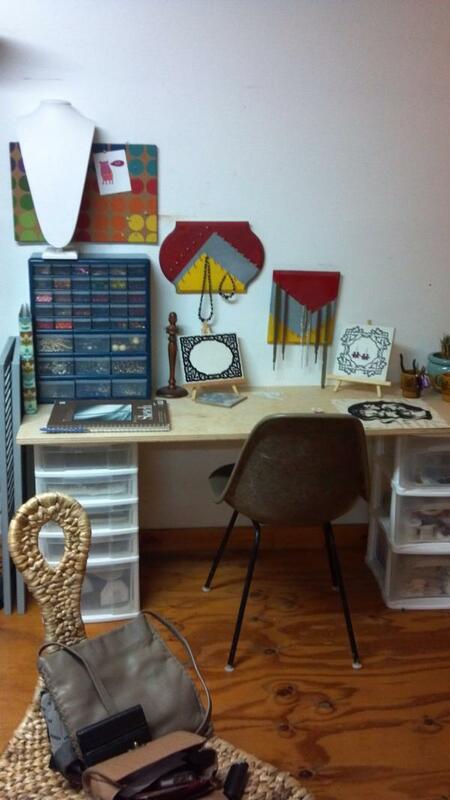 My jewelry design project, REfused Designs Studios, has a new home! Here is a picture of the set-up at the new studio space off of Northloop. Its about 400 square feet, wood floors, and one wall is covered in a mirror. The space was used previously as a dance studio where they taught bellydance, pilates, and yoga. I’m sharing the space with painter Pat Taylor. We might be in the West Austin Studio Tour this year. From what I hear it’s the Spring version of the East Austin Studio Tour and it basically encompasses the rest of Austin. I’ll probably use the space for larger fabric sculpture, puppet making, and perhaps some filming. I’ve had an idea for a film project that I really want to do. This entry was posted in Uncategorized and tagged Austin artist, East Austin Studio Tour, fabric artist, film, fused glass jewelry, glass jewelry, jewelry designer, Pat Taylor, puppet making, Refused Designs, soft sculpture, Tessa Morrison, West Austin Studio Tour by tessa.morrison.. Bookmark the permalink. The new space looks fantastic! Great work!